So, yesterday’s E3 (YT link) showed a first extended glimpse into Bioware’s highly anticipated new IP – Anthem. I’m going to try and summarize my feelings about what I had hoped for and why the whole representation left me more than underwhelmed. For many good summaries and infos and videos, I recommend checking out Joe Juba’s tweet that has several good links to gameinformer. Because things get buried during E3, we wanted to deliver a lot of our @anthemgame coverage today. First of all: the game looks beautiful. Visually, it is stunning and the world seems rich and interesting. Aaaaaaand that’s about where my excitement for Anthem already ends. The fights we’ve seen look not especially new or exciting, the mechanics are about what one would expect and remind me of MEA (without the melee elements which were, as it seems, nearly completely taken out of the game), especially with the hover, and despite their continuous declarations that it’s “not an MMO”, it looks like… well… okay, not exactly like an MMO but surprisingly similar. More exactly: like an online MMO-like action shooter. With a tiny bit of story attached to it. The story is basically Destiny 2 with tiny changes: humans are left in an unfinished creation world, the gods left and humanity has hidden behind a wall to be safe from the outside world which is crawling with dangerous monsters. There is a main enemy, also humans, called the Dominion. In your hub there will be a personal single story with missions that lead you outside the wall where you can team up with up to three other players to fulfill those missions. There will be a character creator, however the devs have focussed more on suit customization. While you are outside the wall, you always wear your Javelin, your suit, which hides all facial features anyway. Your character will be voiced. You can only play as human and your enemies will be both human and critter/monster-like. You have four “classes”: Tank, Rogue, Ranger and Mage. Colossus, Interceptor, Ranger and Storm. You can play all classes with one character, starting with the Ranger and unlocking the other classes later on. Gear etc. will get better the higher your level is. There will be micro-transactions which are only cosmetic and focussed on the Javelin and Mark Darrah specifically said that there is no pay-to-win (however, changes to your Javelin are seemingly also affecting your environment, so I’m currently wondering about this). You HAVE to be online to play. There will be raids and dungeons, there will be loot drops, there will be crafting, there is a main story, no PVP. At the press conference, Mark Darrah (who is currently also answering Anthem questions on his twitter) said that it is absolutely possible to play the game alone and only the single-player story. The single-player story is based in your hub – seemingly an appartment-like thingy in Fort Tarsis, also a mobile version (The Strider) – however, all the devs are keen to emphasize how good and important the coop part outside the main hub is and that there will be team finders and PLEASE try out the coop, also there are parts of the game which only work with a full 4-person team. Which makes me think that the singleplayer story is not… that… important? (Darrah confirmed that the game is coop first and story second.) They also said several times that there is no incentive to create a second character which also leads me to think that the story is rather… irrelevant for the game. And, ay, there’s the rub. And here’s where my tentative interest plummeted. At least for me. As I said on our twitter already, what I love about Bioware is their grasp of RPG games. (Yes, I am aware that the roleplay parts are secondary to games like Divinity Original Sin 2 or Tyranny, however, the graphics do play a part for my enjoyment of the game and that is where Bioware gets me.) Their strength is story, world, lore and most of all: characters and interactions. A big part of that roleplay experience is the romance aspect for me. And none of this is included in Anthem. There will be no AI teammates, aka no companions. Although Darrah also said there will be “relationships” (read: friendships) and character interactions in the game. There will be no romances. There is no story that affects the world outside your hub permanently (Darrah said that somewhere in the 123 question video). Everything the devs said and showed points to a (mostly) coop action shooter, MMO style. And there is nothing wrong with that! Go Bioware, test out new territory. However, I was looking forward to a new RPG IP. A new world to explore and roleplay in, to bridge the gap to the next Dragon Age game, and so far, there just is no indication that Anthem will be able to fulfill that role. I was hoping for a BIOWARE RPG that has the Bioware strengths. At the moment, nothing points to Anthem being even remotely RPG-like. There are many people saying they look forward to Anthem. Someone said on tumblr that they love Destiny 2 and the only thing that is lacking for them is the story and that they are hoping that Anthem will fill that role. And yay for them, if Anthem is the game you were hoping for, great! Worldwide release is 22nd February 2019, go get it, tiger! But the main fanbase of Bioware as I see them is a roleplay base. Anthem is NOT for us. Which is why I am personally both underwhelmed and disappointed in what we have seen. 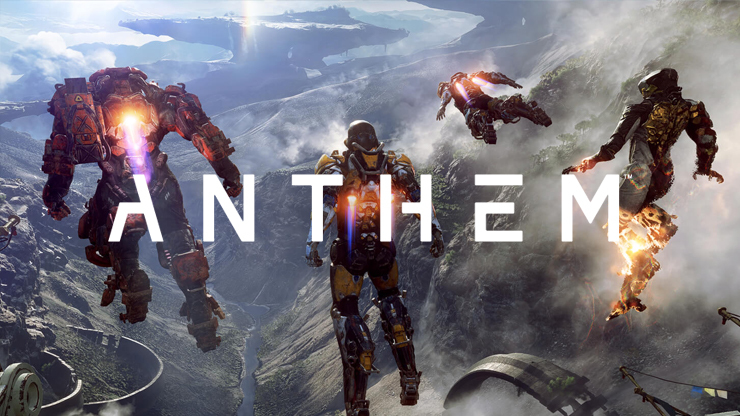 What’s your take on Anthem? PS: Here’s an excellent video summary (YT) that also raises the very good point that Anthem’s reveal has failed to one important thing: tell us why we should CARE about the world. Sorry it took so long until commenting, I had to sort my thoughts and feelings about the game. Because my first reaction was pretty much “nah”. I’m a fan of RPGs, story-driven and character-heavy. Relationships to NPCs (including romances) are more important to me than combat. Even if the combat is really fun (Mass Effect: Andromeda comes to mind), it IS secondary. So Anthem is not really my type of game. I also love huge open worlds to explore, and ever since I’ve tried my first MMO in 2013 (SWTOR), I’m not opposed to do that with other people=players around. This is where a cautious “maybe” concerning Anthem comes in. It sure looks gorgeous, and I REALLY would like to explore that strange new world BioWare has built for us. The Javelins… hm. I’ve never liked the Power Armor of Fallout, FO4 in particular. Never used it. And the Javelins look like a souped up version of that. But then again, you can fly in these things. Flying in video games (if not done in traditional planes/fighter jets) is something that is really appealing to me. And how it “feels” is something that has to be experienced by oneself, (youtube)videos never do it justice. Current example: the griffon mount of Guild Wars 2. I’ve seen videos, but not until I was allowed to ride my first (temporary) griffon, I really got how amazing that feels. So, the Javelins. With the Jump Jet of MEA in mind, I trust BW to have created a vehicle that is immensely fun to use (every review concurs). And you do that in an all new environment. So much to explore, and having fun doing it. Is that enough to justify buying Anthem? I honestly don’t know. But it’s enough to not rule it out completely. We’ll see. Addendum: concerning to “I was looking forward to a new RPG IP” – after that first teaser at last year’s E3, and every bit of information we got between then and now, it was pretty clear to me that Anthem would not be an RPG of BioWare tradition. So no disappointment on my part.